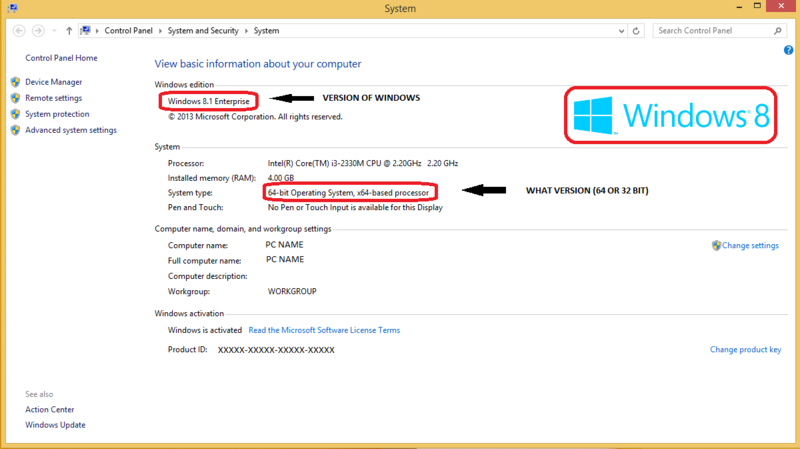 /Office 2013 /Office 365 /What version of Windows am I running (32 vs 64 bit)? 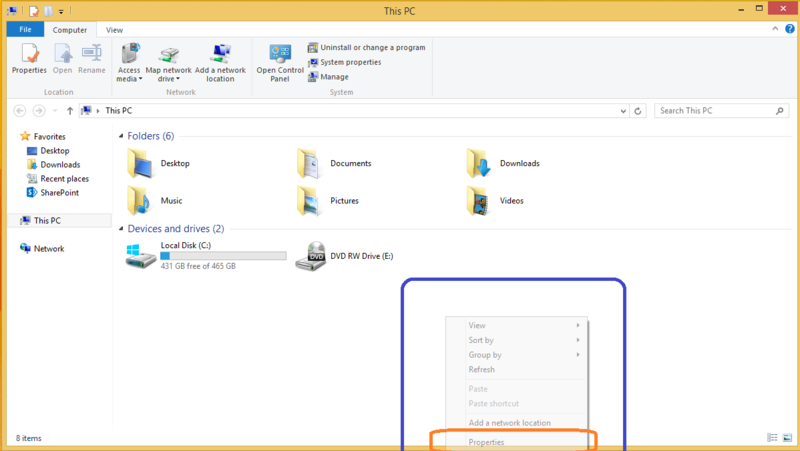 This article will help you to understand which version of Windows you are running. This is also useful when downloading Office 365 from the online portal (it asks what version you require) as well as other programs and drivers that are 32/64 bit machine exclusive. Downloading the right version software for your computer is important! You may run into errors when running non 32 bit software on a 32 bit system (however downloading a 32 bit Office suite will not cause any problems unless using extremely large data sets or if you already have a 64 bit version of Office installed). If you are unsure of what version of Office to install click HERE. Right click on clear space (as shown in the picture below). This will open a separate window titled “System” (like the one below). Edition of Windows (10,8,7,Vista, XP etc). Alternatively you can access this from “Control Panel” (as shown above). Any other problems? Please feel free to browse our Knowledge Base to try and find solutions.